This post is our fourth of nine installments. If you would like to read more, here’s our original post and the first, second, and third installments. We will post more after the IAHE Convention on April 29-30, 2016. 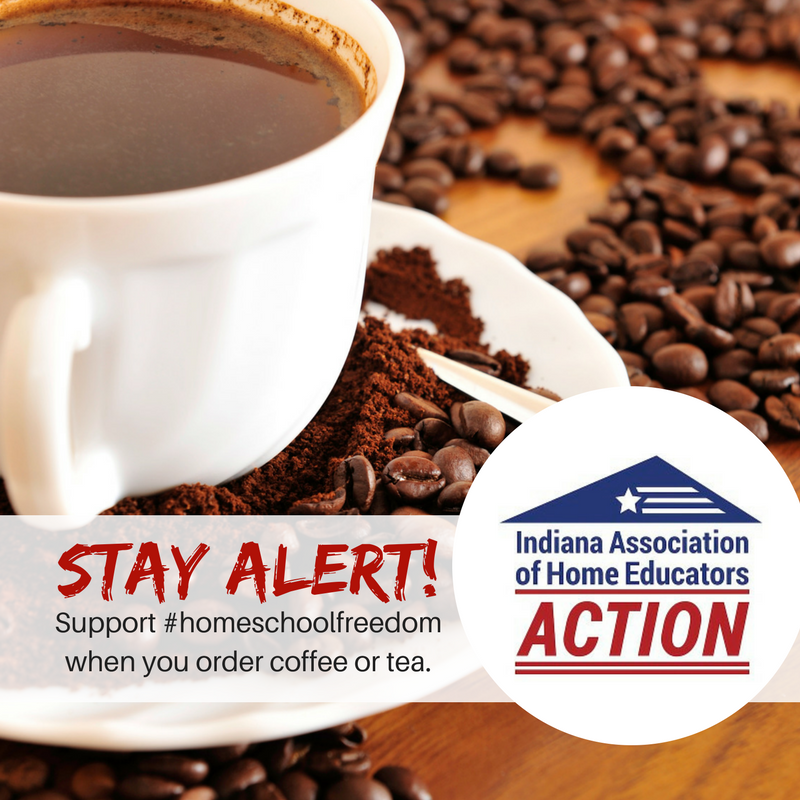 Support the IAHE Convention to help protect Indiana homeschool freedom. IAHE Action’s Response: Families have a right to privacy. Reporting to the state is not mandatory in Indiana because the laws in our state recognize parents as the primary authority in children’s lives, not the state. Certainly, the state has an interest in an educated citizenry, but it must fall within the compelling interest test, meaning the interest must be met by the least restrictive means. In layman’s terms, the state can only ensure their interests without overly burdensome regulations. The state of Indiana correctly balances the interest of the state with a healthy respect for family autonomy. Parents must keep attendance for 180 instructional days, for children 7 years to 18 years of age or until graduation and provide an equivalent education to the public school. If a parent is in violation, truancy charges can be leveled which lends muscle to the state’s education interests. Parents, not the state, have a responsibility to provide for their children’s education as set forth by Wisconsin v. Yoder. Many parents choose to fulfill this obligation using public, private or public virtual schools while home educators take on the task themselves rather than utilizing outside providers. Parents retain the right to direct the education of their child. The overwhelming majority of parents will make the best possible provisions for their children and their particular family situation. It is highly unfair to penalize responsible parents with greater regulation and red tape when irresponsible school administrators have created this problem. Regardless, we do recognize schools do have some responsibility in knowing what has happened to the children in their schools. Out of respect, IAHE advises families to send a letter to inform the school administrator when a child is no longer in the public school system, but has transferred to a private option. This action also safeguards parents from undue truancy charges. IAHE Action’s Response: Forcing families with troubled children into homeschooling is profoundly troubling to IAHE Action as well. As home educators, we know first-hand the tremendous responsibility involved. Parents unable or unwilling to devote the time, attention and detail needed to homeschool should not be homeschooling. Indiana, like every other state in the Union, has a large network across the state providing resources, activities and information. These organizations are not hard to find. Our sister organization, Indiana Association of Home Educators (IAHE), makes a concerted effort to communicate with people throughout the state through various mediums. They have a webpage, Facebook page, Twitter page, blog, a published print magazine, available for free in every library in the state, Pinterest resource pages, Instagram and regional representatives covering every county. Co-ops, which are groups of parents coming together to provide educational support and enrichment to each other’s children, meet regularly. Our regional representatives make it a point to be aware of groups meeting in their areas to better connect new families to a support group or co-op that best suits them. Alternatively, many homeschool parents and families thrive in a more independent environment without joining local support groups. Direct parent involvement is the important factor for home education success. According to a Statehouse source, Indiana now spends on average $12,443 per pupil which includes all federal, state, and local funding sources. No matter how you slice it, that is a considerable sum when multiplied by the number of students in the state. Understandably, taxpayers have a right and a responsibility to keep the state accountable. The need for governmental scrutiny has resulted in things like school A-F ratings, tracking graduation rates, teacher evaluations and student standardized assessments. Every single one of these programs were put in place to give the taxpayer concrete ways of evaluating the government’s performance in educating children. In home education in Indiana, no tax dollars are used. Hoosier homeschooling parents control the curriculum and fund all educational pursuits themselves. Nationally, most homeschoolers spend less than $600 per pupil per year in educational costs (2009 Academic Progress Report, HSLDA). Since no tax money is at stake, what right does the state have in demanding homeschoolers take standardized tests? Home educating parents are already keenly aware of their child’s progress. While many parents freely choose to test their children through various means, some opt to forgo the testing process in the best interests of the child. Homeschooling parents have regularly proved that standardized testing and vast sums of money are not required to achieve academic excellence. Instead, responsibility, character, and motivation are necessary resources for success. 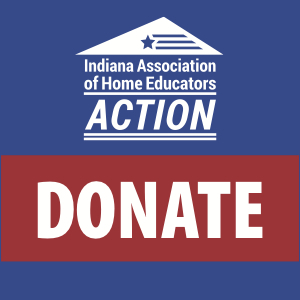 Support IAHE Action’s work of protecting Indiana homeschool freedom. Donations to IAHE Action are NOT tax-deductible.